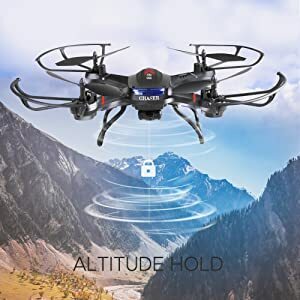 · Altitude Hold Function (upgraded): When you release the throttle stick, the drone will stay hovering at the current height. 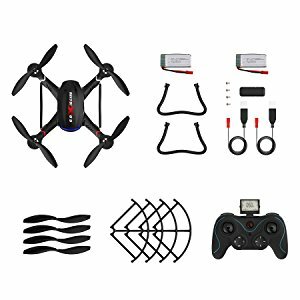 · 720P HD Camera: No FPV (First Person View) You can capture videos and take wonderful photos to record happy moments. 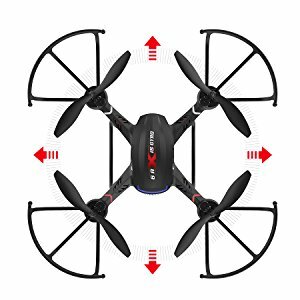 · 2pcs Powerful Batteries and Motors: Batteries and motors can offer strong power to the drone, support a longer flying time. · 4 Speed Control Mode: 4 speed modes from low to high are suitable for both beginners and experts. · Left / Right Hand Operation Mode: You can choose a left or right hand mode according to your preference. Enjoy the photography during flights! 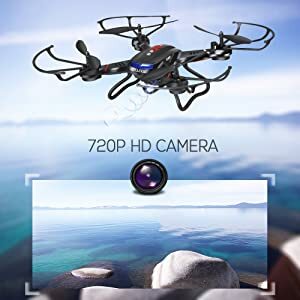 720P HD camera with upgraded 4GB Micro SD card included, with the sky perspective, your friends and family are going to record the world in a brand new angle! You are able to finish the flip with a push of a button! Even for the beginners it is very easy to get a WOW performance with this highly responsive function! An orientation function. 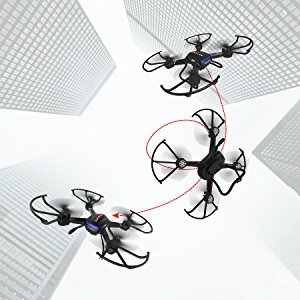 In Headless Mode, no matter what direction the aircraft is facing, forward stick is forward, and back stick is backward. That is all set from the position of it’s initial take-off position. EASY for Beginners! Previous Canon EOS Rebel T6 Digital SLR Camera with..